Iresha is a proud mother of a gorgeous daughter. 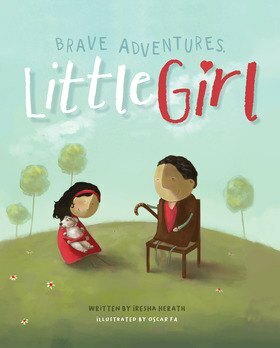 She is a senior lawyer, playwright, and now, a children’s book author with her whimsical work Brave Adventures, Little Girl. Her accomplished legal career spans twenty years, taking her from magic circle legal firms, to work as a Ministerial Adviser, and now as a Senior Executive and Chief Legal Officer for a 6000-staff health service. Her career has involved considerable pro bono work, including as a Director of the Law Institute of Victoria, and a One Girl Ambassador, and she is regularly invited to speak at leadership and legal forums. Iresha’s theatre company, 9minds, has produced several acclaimed main-stage plays in Australia, starting with the youth play triumph Angels with Dirty Faces, which she co-wrote. The company has also spear-headed Arts’-based social justice advocacy with a lauded Australian get out the vote video campaign for marriage equality. In recent years, Iresha and her family have focused on the redevelopment of her late father’s childhood home in Sri Lanka to a boutique hotel, The Notary’s House, which she hopes will attract artists from across the world. The house, her father and daughter all have starring roles in Brave Adventures, Little Girl.